The Town of Princeton and the Vermillion Trails Society have developed the bridge and park and it has become a key access point for visitors and residents to the Similkameen and Tulameen Rivers. The park includes a sandy beach area and picnic tables. The park is adjacent to the Trans Canada trail and a 10 kilometre urban paved and lit section. The Two Rivers Park is the perfect place to stop and cool off in the water or to take in the breathtaking scenery. The Two Rivers Park is part of master plan that was developed in 2007. 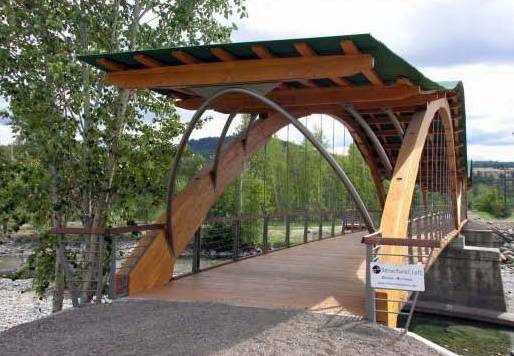 In 2009 the Town of Princeton was given tenure over Crown lands and in the same year the Bridge of Dreams was completed. Over the last few years volunteers have transformed the once "wild" Crown lands into a must see community and visitor park.